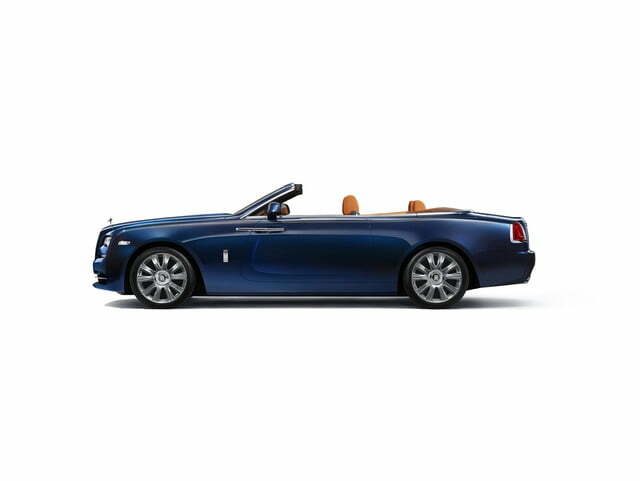 Summer may be almost over, but Rolls-Royce is using next week’s 2015 Frankfurt Motor Show to unveil its latest convertible. 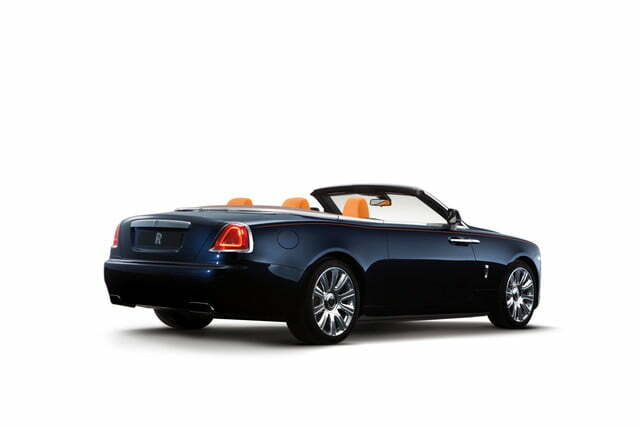 The Rolls-Royce Dawn is the much-anticipated drop-top version of the Wraith coupe, which in turn is based on the Ghost sedan. 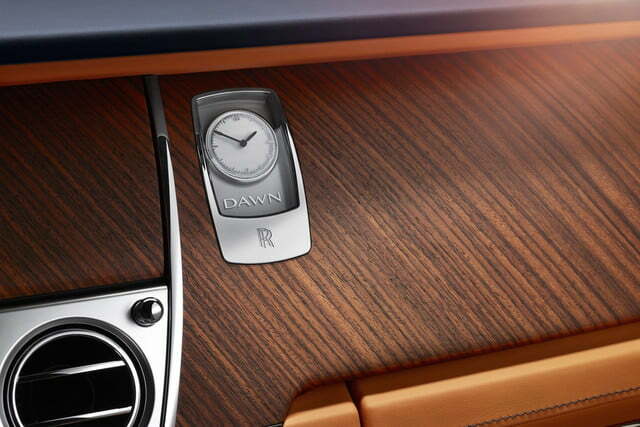 Even without the Wraith’s fastback roofline, the Dawn still looks quite impressive. 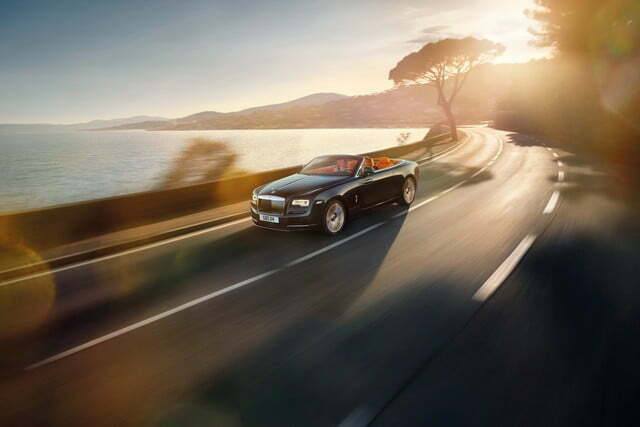 Rolls says its designers took inspiration from the 1952 Silver Dawn, the first of the company’s cars to be offered with a factory-built body alongside the then-customary coachbuilt bodies. 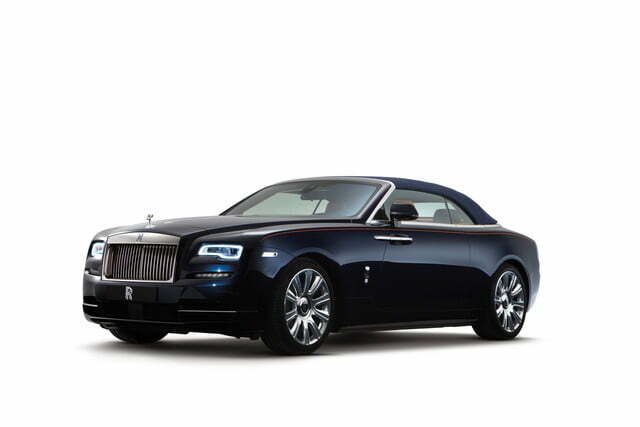 The carmaker claims 80 percent of the Dawn’s body panels are unique to the model, but there’s still that familial Rolls-Royce look to the design. 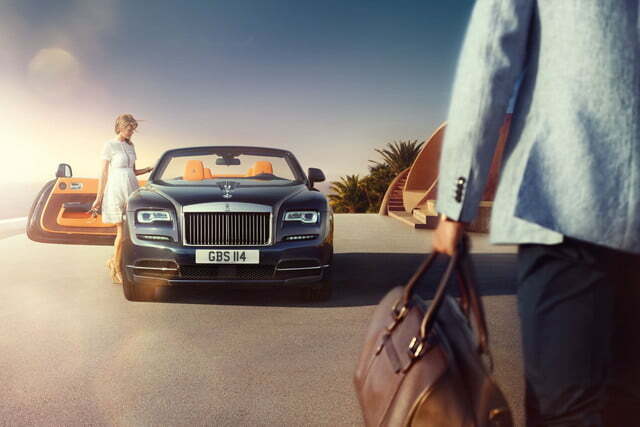 Like the larger Phantom Drophead convertible, the Dawn uses a fabric top rather than a newfangled folding hardtop. 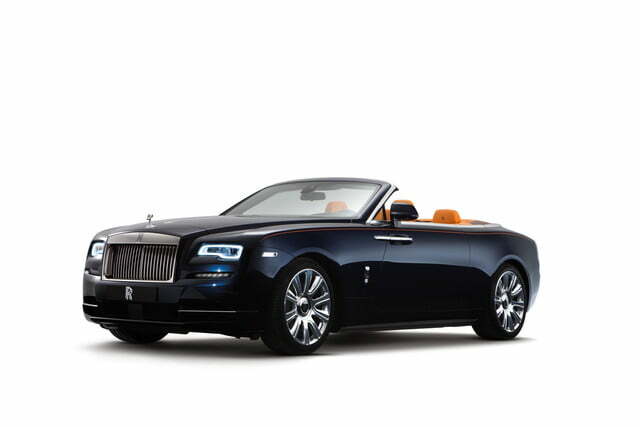 Rolls claims there is “nothing more romantic than driving a convertible in the rain at night and hearing the drops pattering on the roof,” and the firm believes its customers feel the same way. 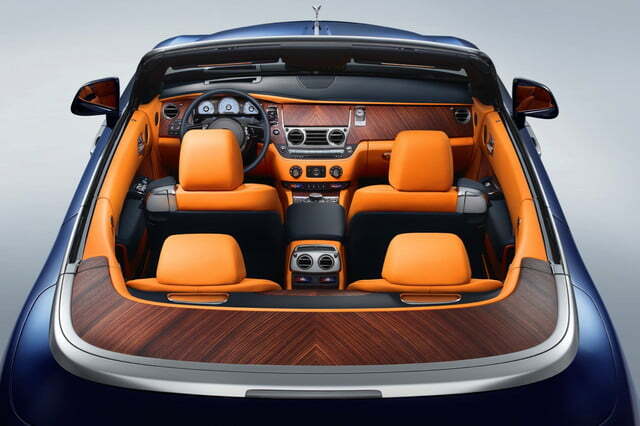 The top can open or close in 22 seconds at speeds up to 50 kph (31 mph), and stows under a teak-covered rear deck that only adds to the perception that this massive convertible is a land yacht. 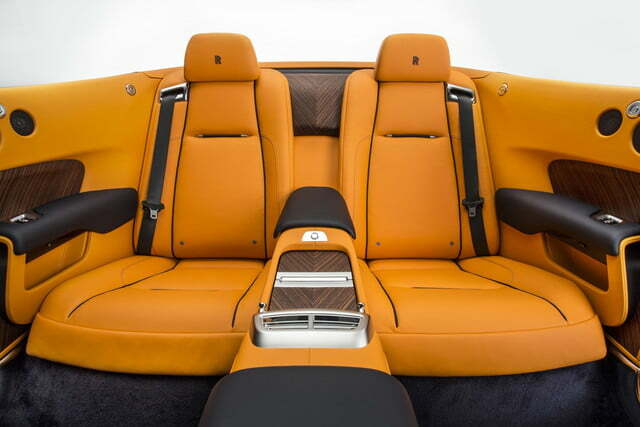 Rolls claims to have minimized noise from both the operation of the top and from wind buffeting, making the Dawn the quietest open-topped production car ever. 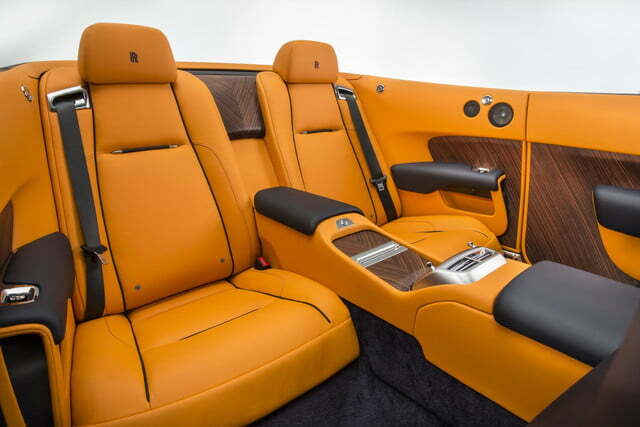 Naturally for a Rolls, the interior is about as luxurious as a Newport mansion, and it features technology available in other Rolls models, including the high-powered Bespoke Audio system, and an infotainment system with “discreetly” placed controls. 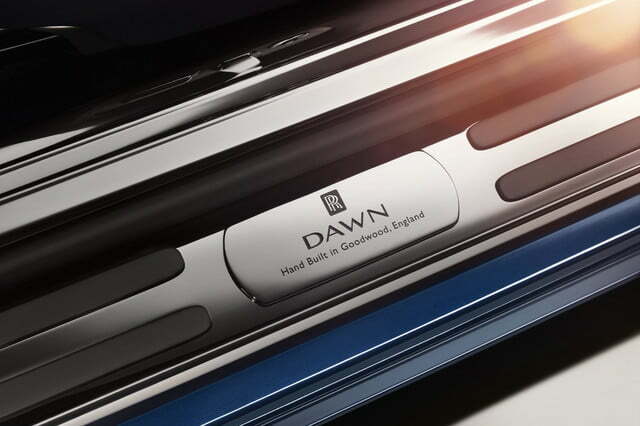 The Dawn is a 2+2, but Rolls claims that in this case “2+2 does not equal four.” There are still only four seats, though, so it’s unclear what that means. 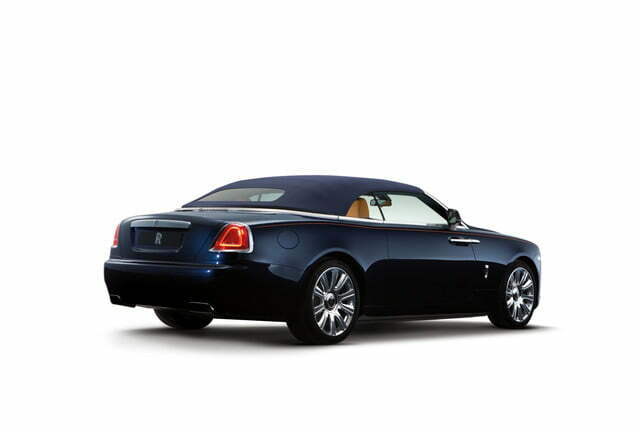 Under that long bonnet is the same 6.6-liter V12 used in the Wraith and Ghost. 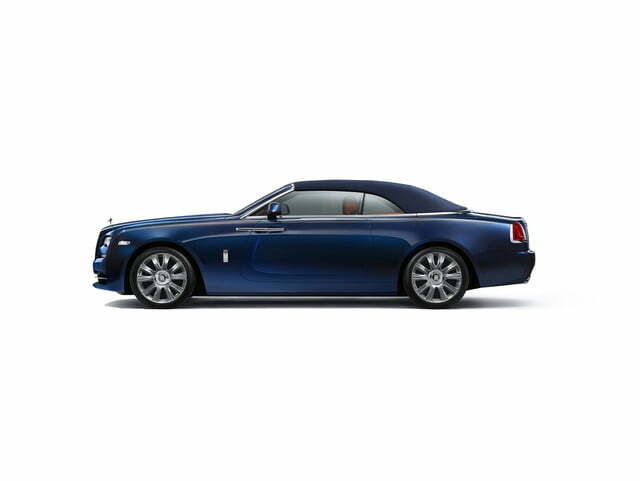 It produces 563 horsepower and 575 pound-feet of torque, which is sent to the rear wheels through an eight-speed automatic transmission. 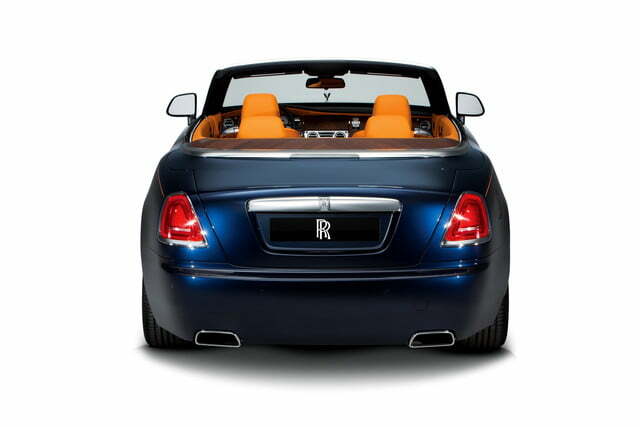 The gearbox is also “satellite aided,” meaning it analyzes GPS data to adjust operation based on anticipated terrain changes. 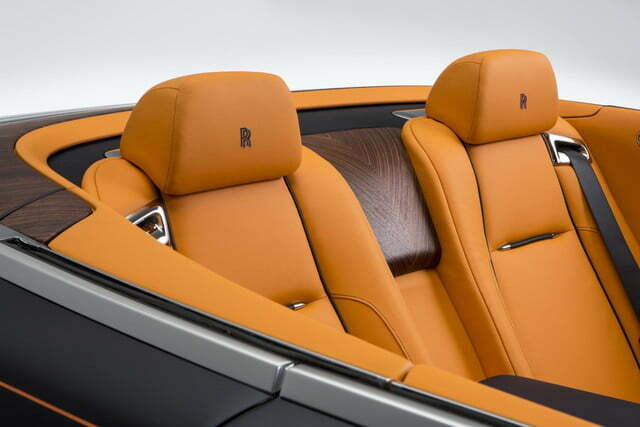 The Rolls-Royce Dawn will make its formal debut at the 2015 Frankfurt Motor Show next week. 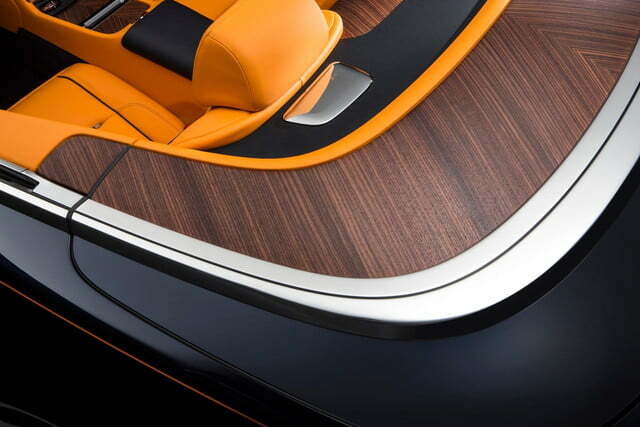 Particularly well-connected customers have likely already placed orders, and the first cars should arrive in the U.S. next year.